You're Invited: Symposium at Harvard 9/21 "Educating to End Sexual Violence"
Educators must be equipped with the knowledge, skills and tools, and motivation to prevent, respond, and resolve sexual violence in the school context. This interactive symposium will prepare K-12 and Higher Education practitioners for their role in changing school cultures in this post-MeToo era. Join top educators, researchers, and practitioners for a cutting-edge symposium tackling tough topics related to sexual and relationship violence in schools. 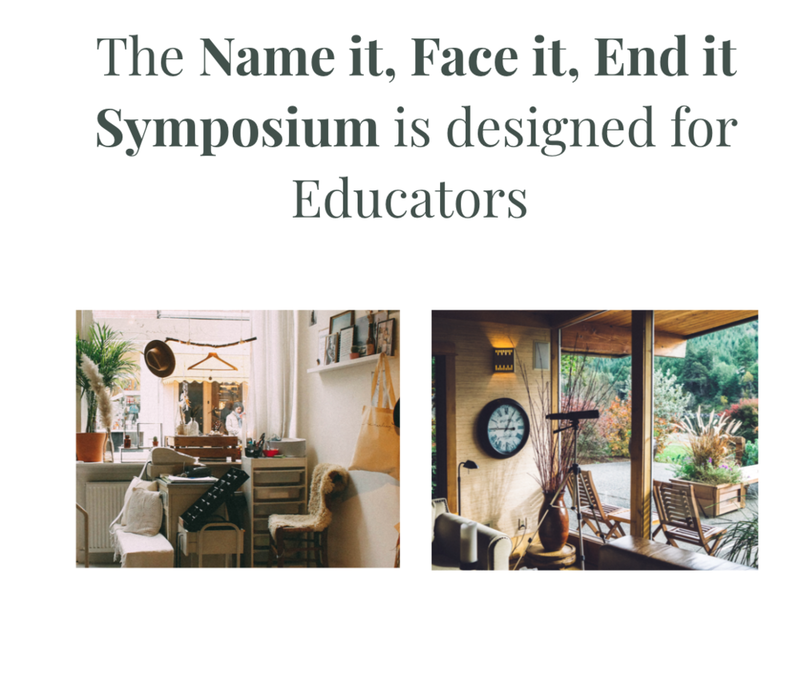 The Name it, Face it, End it symposium, with specific K-12 and Higher Education workshop tracks, will give you practical and tangible tools for understanding, responding, and preventing sexual violence in young communities and school settings.